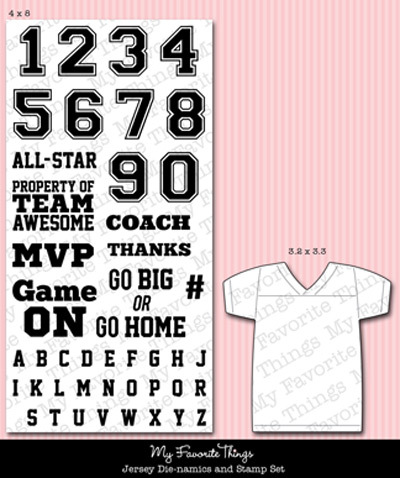 Today the My Favorite Things team is sharing samples of two fun new Die-namics/Stamp sets — Jersey and Bookmark. I took this opportunity to make a card for my nephew’s birthday. 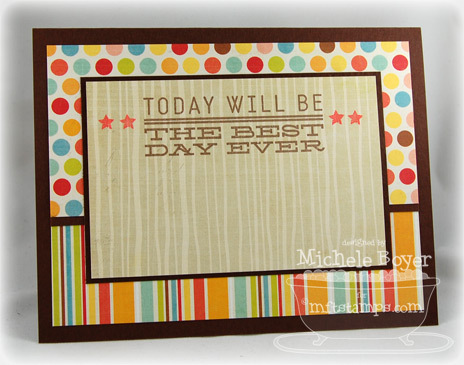 Today I’ve used Jersey Stamp/Die-namics set, new Retro Squares and Notched Tag Die-namics with Hot Fudge cardstock. I used the Retro Squares strip to frame the “Happy BD” message. The little star separating the words is from Lisa’s Circus Spectacular. The star tab is actually a Notched Tag, upside down. I die-cut the star from the “patterned” tag, then layered that tag atop a die-cut brown tag. 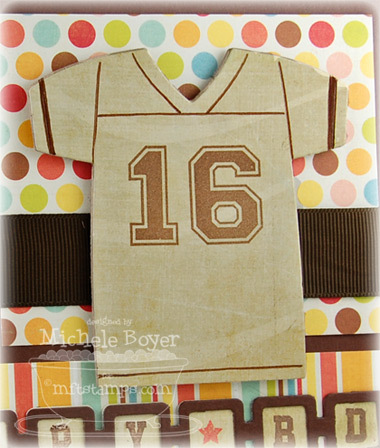 After die-cutting the jersey, I stamped the 16 (because my nephew is 16…wow) using Amuse Studio French Roast ink. The brown lines were drawn in with a marker (by simply following the embossed lines from the die-cut). I then layered the jersey atop two layers of die-cut tablet backing and adhered to the card using foam boosters. I’ll be back tomorrow with one of my favorite preview days — à la modes! Stamps: My Favorite Things “Jersey” Ink: Amuse Studio French Roast and Burano Paper: MFT Hot Fudge cardstock, Echo Park Paradise Beach (6×6) Accessories: MFT Jersey, Retro Squares and Notched Tag Die-namics, 7/8″ grosgrain ribbon, brads, foam boosters. Finished size 6 1/2″ x 5″. 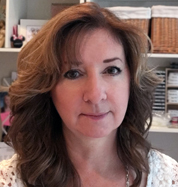 gorgeous card, Michele, I love this new Die-namics set! What a great birthday card. Adorable card design, love the new retro squares. Super card, I just love this set the more I see done with it. Ooooh, I just love this card Michele!! The sentiment on the retro squares is an awesome idea!! So cool! Love your sentiment spelled out in the squares! LOVE that you used the sentiment on the retro squares die. The papers you used are sooo colorful ~ The inside of your card is…Special!! 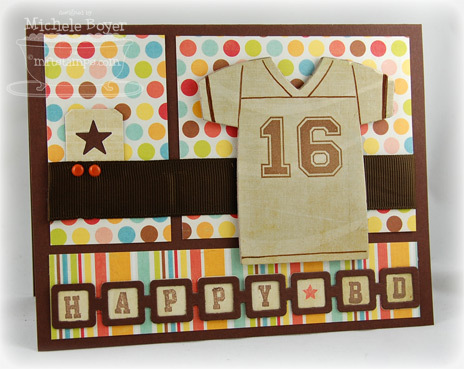 terrific card…great use of the retro die so creative! 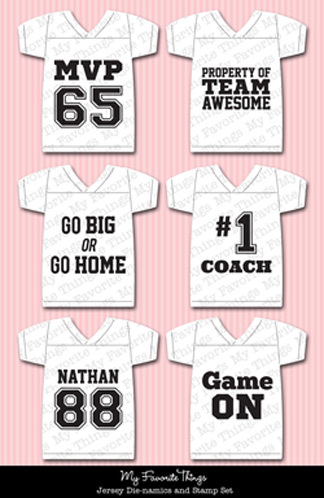 The sports jersey set is so cute and I like the retro border die too. Great card. Love the colors and design, also the nice finished inside. Very nice and masculine card! I love the papers! Excellent use of the new stuff! Great bday card…like how the sentiment is in the die windows. Michele, wow another amazing card! Love the papers you used and the colours, just wonderful! Awesome card Michele! Love how you stamped inside the retro squares! Thanks for the inspiration! 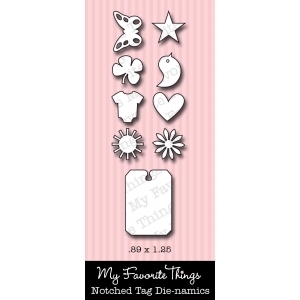 How brilliant – I love these new dies too! You made a SUPER cute card for your nephew out of this cool new jersey die/stamp set!! Love it!! Nice!!! Great card for a boy! Your nephew will love it! Awesome card for this set! Love the colours too! Lovely card! Love the colors! SO fun! LOVE how you stamped inside the Retro Squares!